So yesterday, I wrote my review of how the Legend of Zelda: Twilight Princess was ported to Wii U. In my analysis, it's a good port. Now as I played it, I noticed a few things that I found interesting. Midna's hand gesture is the Japanese one for "Come": In the west, the palm would be face-up, which I saw one boss do in a fight (won't spoil for those who don't know who). However, in Japan (where the game was developed), the palm is face-down and looks like you are digging. The Hidden Village shootout is awesome and inspired a spinoff game. However, you can also play a Cat-hunt version by talking to the cucco. The goal is to talk to every single cat in the village and you get a piece of heart. This is the only Zelda game where someone looks at you as a hero: In most games, you are called the hero, but no one looks up to you as one. 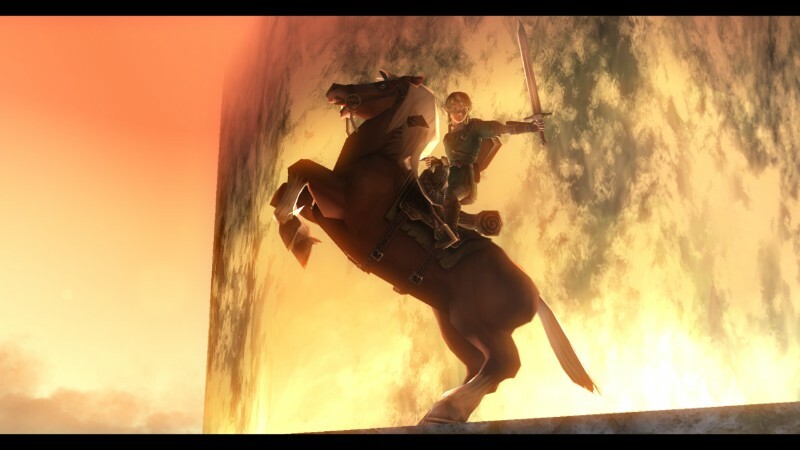 This makes Twilight Princess interesting, because you have the character Collin aspires to be like you. The Gorons go from Sumo to Boxing. If this game was made in the US instead of Japan, it probably would have been deemed controversial. I didn't try it, but you can make the oocca fly forever, making it look like they are trying to attack you Video on youtube. I wonder if they'll attack you like the cucco. 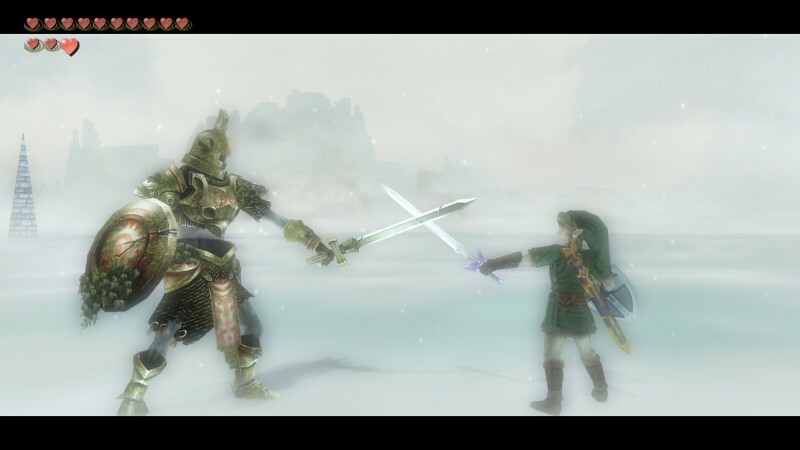 The wolf form is more powerful than the Master Sword. 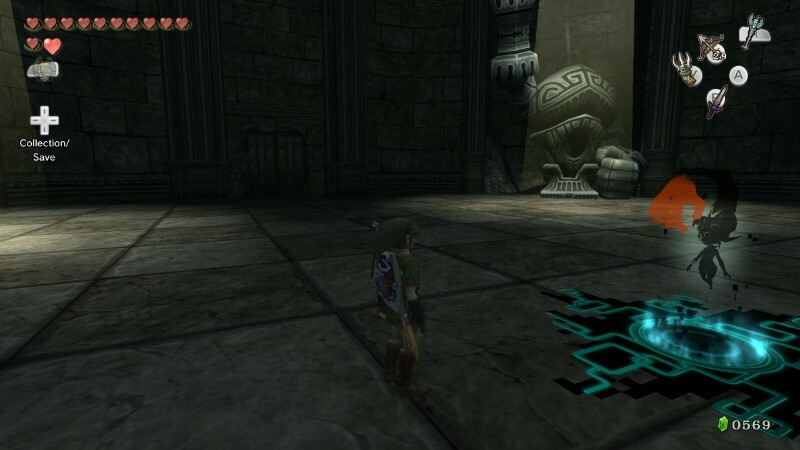 When you reach the temple of time, it kinda looks like the Wii U tech demo. Makes me wonder if they have been developing this port since then. Midna may have an interesting story and dialogue, but she stinks when it comes to giving you advice about what to do next. The game is a bit inconsistent about whether some items should be in the fancy chest or just a normal chest. When playing the balloon popping minigame, get the minimum high score and slowly increment each round in order to get money fairly easily. 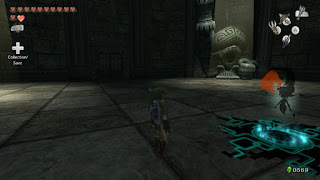 There are mini-dungeons hidden in Hyrule Field. The yeti's mansion is filled with paintings of various characters and locations, including some I don't expect he could reach. When you switch to Zora armor, you can't swim faster like you can in human or wolf form. Some of the howling stone songs are from OoT. The developers seem to like Westerns. Not only do you have the joust and herd, but also the Hidden Village shootout and this pose. Rutela's theme is the Serenade of Water from OoT. The Hidden Village is likely the Kakariko Village from OoT due to the information provided by its inhabitant, which had a shooting game. You can play fetch with the dogs in Castle Town by picking up a bone and throwing it. The dog will bring it back. The Wii U version adds a touch button to let you switch between Wolf-Link and Human Link on the fly. You don't need to talk to Midna in order to warp on the Wii U version. Just open the map, press L to turn on portals, and touch your destination. The Wii U version starts you off with a wallet to hold 500 rupees and the next one holds 1000. Much better improvement over the Gamecube's 300 start. However, if you can't hold the rupees, you won't put them back into the chest anymore. 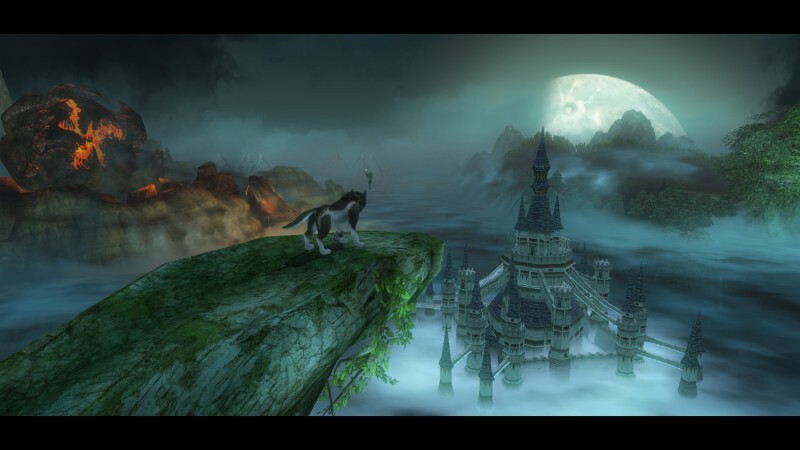 The Wii U version has a special lantern to help you find Poes. If you want to make a bow combination on the Wii U, you have to pause the game. Bonus one: Concept art for Ilia had a fairy image on her forehead. That could possibly mean that she was intended to be Navi from OoT incarnate (I recall seeing this in Hyrule Historia). The character who repairs the cannon is a reference to Mario. 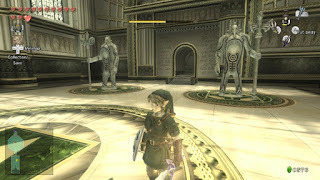 Using cannons to reach new locations such as a sky world or desert world appeared in New Super Mario Bros. for the Nintendo DS in 2006, the same year Twilight Princess originally released.